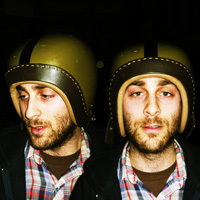 Owen is a solo project of Mike Kinsella. People in touch with the indie music scene in Chicago can easily recognize who he is. Mike is part of the three Kinsella brothers, all of whom are known for their involvement in many bands in Illinois. Mike himself is a member of the following bands: Cap’n Jazz, Joan of Arc, The One Up Downstairs, American Football, Owls, Maritime, and Aloha. Working on “Owen” though, Mike Kinsella got to control everything – from the songwriting to the album design – and the outcome is bloody brilliant! With Mike’s many bands, what made him decide to do a solo project? He cites the disbanding of American Football as the impetus for him to finally work on a project of his own. And by his own, this means everything. Owen is basically a collaboration of Mark’s artistic talents. He did all the songwriting, vocals, album design, and artistic direction. As if these aren’t hard enough, he also plays the guitar, bass, keyboard, drums and the other instruments used in all the songs of his solo project. All of Owen’s songs were done in a former bedroom-turned-studio, where instrumentation of all his songs were rendered possible. This solo project that started in 2001 has now created about 5 solo albums available in his record company, Polyvinyl Records.